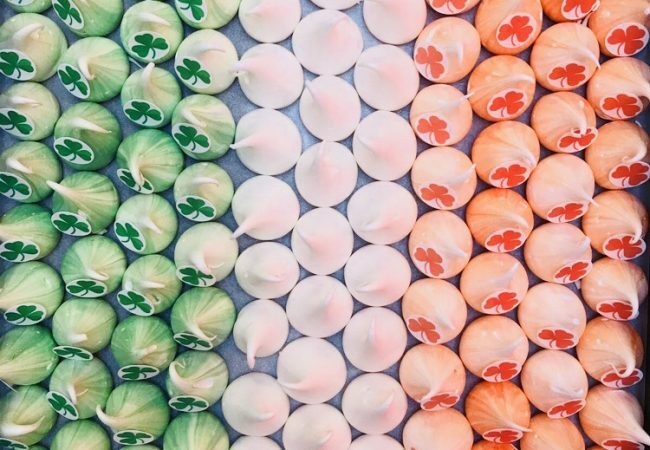 Green, white & orange Irish flag colours, all kisses branded with an edible four leaf clover. 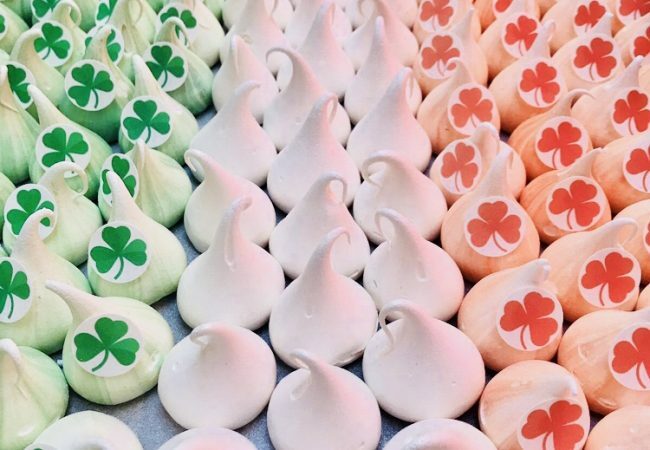 Our meringue kisses are crispy on the outside, mallowy in the middle and made with all natural colours and flavours. Either collect from our bakery, or add a courier delivery in the checkout – please note these can only be couriered within London. Our meringues have a 2 week shelf life. Store in a cool, dry place away from moisture. Gluten free, free range, all natural colours and flavourings. Caster sugar, free-range pasteurised egg whites, natural food colouring, Irish cream extract, lemon extract, citric acid, caramel extract.